As technology continues to disrupt financial and business services, new businesses are springing up and seizing the opportunity to be at the forefront of this transformation. Many are seeing increasing demand in the services they provide, but do not always have the tools to ensure they keep up with this momentum. What is the best way to ensure these businesses survive and thrive? This event is a sector-specific session, which aims to bring together an intimate group of players in the fintech, blockchain and cyber space to discuss and exchange on the lessons they’ve learned from their entrepreneurial journeys. This is a peer to peer collaboration platform for informal discussion amongst guests. 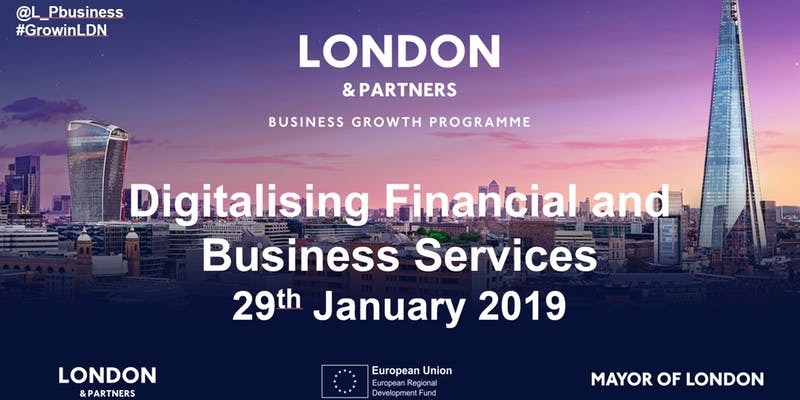 This event is a collaboration between London & Partners’ Business Growth Programme and Level39.